770w maximum output for home, leisure tools and appliances. 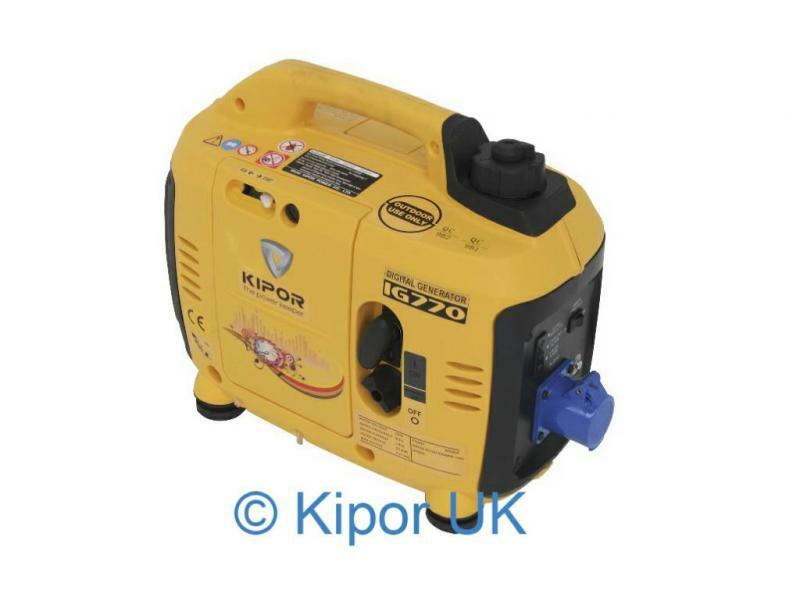 Even with this our smallest machine your caravan battery will charge in the same time as if connected to the hook up on site or at home. Also a quick tip, if you are looking to watch TV, use your leisure battery through the evening and re charge the battery in the day time. This way will be quieter during the evening hours and you will run the generator for fewer hours in the morning using less fuel and keeping the running hours low. Product Name : "Testing Products 1"
This product is excellent by the performance as well as by the look.